AMSTERDAM, February 23, 2016 – At Casual Connect Europe 2016, BoosterMedia revealed its new name: the #1 HTML5 games publisher will further grow its activities as CoolGames. It was also announced that the company has joined forces with HTML5 game developer Tingly Games. 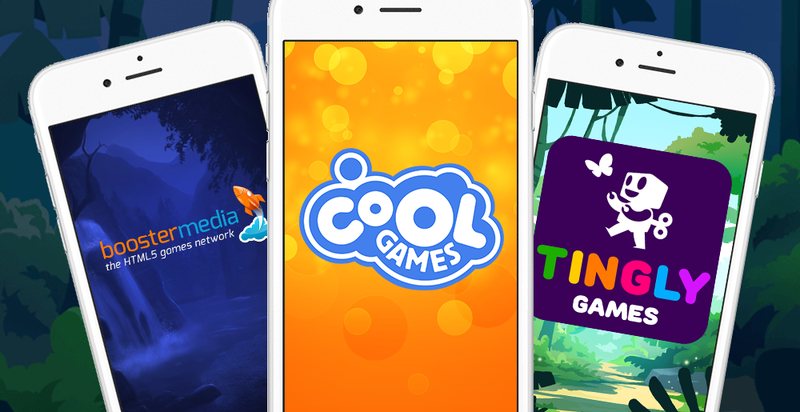 In 2015 CoolGames.com was launched as BoosterMedia’s flagship consumer website with HTML5 games for smartphones, tablets and desktop PCs. From now on, CoolGames will also be the company’s corporate branding for all game-development, publishing and advertising activities. Merging BoosterMedia’s in-house studio and Tingly into the new CoolGames Studio will effectively establish the world’s largest HTML5 dedicated game studio. Ard Bonewald, former CEO of Tingly and the new Head of Studio for CoolGames, adds: “With the talented teams of these two HTML5 front-runners now united, we can significantly invest in developing even better casual games that are on par with the top-ranking games in the app-stores.” It is expected that the rebranding and the integration of the two studios into the Amsterdam HQ will be completed by the end of Q1 2016.